"This is the way the world ends," T.S. Eliot once told us, "not with a bang but a whimper." One of the things that science fiction does is help us to confront our fears: the alien that represents the other; the robot that represents unthinking obedience; the future that may turn out if this goes on. One of our perennial dreads is of obliteration, the absence of ourselves, our loved ones, our whole culture and society. Which is why science fiction has so often turned to representing the end of the world. There was a time when science fiction reversed Eliot's dictum. Throughout the cold war we feared that the world would, indeed, end with a bang, and from the 1940s until the 1990s there are endless variations on the theme of nuclear annihilation. Then, with the odd exception (for there are always odd exceptions to such generalizations), we stopped writing about the end of the world for a while. But now it's back, and indeed back with a whimper. We've stopped writing about us blowing ourselves up, not because we've ceased to fear nuclear weapons or we've suddenly started to respect the wisdom of politicians, far from it, but because we have started to see a new and more pertinent way in which we might wipe ourselves out. The starting point for this notion is global warming, but there is generally a direct and immediate human trigger that brings about the ultimate catastrophe, as, for instance, careless drilling in the North Sea brings on the climactic catastrophe in Liz Jensen's The Rapture . One popular trigger is disease (as in Kevin Brockmeier's The Brief History of the Dead or Barth Anderson's The Patron Saint of Plagues ). In part this is because we've had so many health scares recently (bird flu, SARS, swine flu) that it is a convincing explanation for our end, but mostly it is because it suggests a curious hinterland between the natural and the artificial, between man-made catastrophe and the planet fighting back. 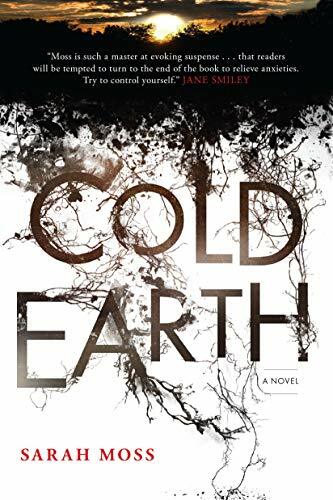 Sarah Moss has chosen a virus as the vector for her apocalypse in Cold Earth . We don't really know much about the virus, other than the fact that it first appeared somewhere in the USA but spread quickly to Europe. But then, we never even see its effects, because the virus is always off stage. Moss, echoing the pre-death segments of Brockmeier's novel, concentrates entirely on a small group of people isolated from the spreading catastrophe in a frozen landscape that is in itself a natural threat to their survival. In this case, the scene is Greenland and the cast consists of six young archaeologists on an ill-planned and ill-organised expedition to excavate an isolated Viking farmstead. The first third or more of the novel is narrated by Nina, an English graduate who has joined the dig for the most specious of reasons and who is peculiarly unsuited to either the privations or the revelations of archaeology. She hates the fact that their only washing facilities are a river that, even in summer, is ice cold; she hates the inadequate packaged food supplies that have been provided by the expedition organizer; she hates the stand-offish American woman, Ruth, who seems to delight in criticizing Nina. None of this makes for a particularly harmonious atmosphere in what is, after all, a very small group, but worst of all, she is sensitive. From the very moment she reaches the isolated coastal valley where the ruins of a church and a farmstead stand, she has visions of the end of that small settlement: the raid from the sea, women raped, men killed, the priest burned alive in his church. Her popularity in the group is not increased by the bad dreams that wake everyone else night after night, dreams that become worse as she starts hearing movement around their tents, then sees a figure haunting their excavations. For a long time it looks as if this is going to be a ghost story. Particularly when, one by one, the other members of the expedition start to see signs and portents that seem indeed to have a ghostly origin, or at least to confirm Nina's claims. But, curiously, the more acceptance of a ghostly presence spreads among the group, the less it becomes central to the story. By the end of the novel, as the arctic winter arrives, the spirits seem to have been forgotten entirely. Either ghosts are only active during the summer months, or the closer our human characters approach to death the less they see the other world. I'm not sure which it is, but neither makes much sense. I'm not even really sure why the ghosts are there, since they are handled with far less conviction that anything else in the novel. Perhaps, as Brockmeier did before her, Moss feels that she can only approach the concept of annihilation by making the dead actual. 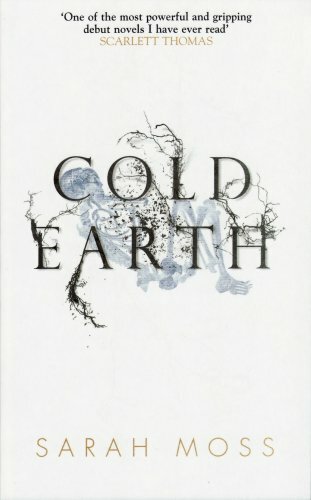 Because really, this isn't a novel about ghosts, or about archaeologists in Greenland, or about the various personal and psychological issues that the small cast of characters trails behind them; this is a novel about the end of the world. This becomes clearer when Ruth takes over the narration. She has just lost her lover in an horrific accident that still haunts her. The loss means that, alone of the group, she has no ties to the world; indeed she came on the expedition as an escape. She is a cold person in a cold landscape, as remote as their unpopulated valley, and this detachment from humanity makes her the perfect perspective from which to watch the slow gathering panic in her fellows. The virus was just beginning to hit the newspapers when they left home, but it is a small scale thing and no-one is that worried about it. But as the summer progresses, the virus is reported in Europe, is spreading wider, is resulting in more and more deaths. And the small, isolated group seems to become ever more isolated: their internet connection can only find websites that have remained unchanged for days, then the connection fails; their one satellite phone isn't working. With the arrival of autumn, two Greenland shepherds show up to gather in their flock for the winter, and report that they, too, have been unable to establish an internet connection with the rest of the world. As Ruth watches disdainfully, the other members of the expedition begin to dread what they will find when they leave Greenland, if they ever get away. Meanwhile the dig goes on. They uncover a mass grave, the men interred there all seemingly dying of wounds, and they debate how the settlement met its end. But the end of the settlement is a metaphor for the end of the world. Summer ends, they box up their finds, repair all the damage they have caused to the site, and wait for the plane that is scheduled to come and pick them up. But the plane doesn't arrive. Now, briefly, the other four members of the expedition take over the narration, leaving letters for their loved ones that they hope someone might discover in some unglimpsed future. Their unappetizing supplies of food are all but exhausted, their tents are completely inadequate to survive the rigors of a Greenland winter. Now survival becomes something altogether more immediate than an off-stage virus. The novel ends with Nina again taking over the narrative, and I find myself completely nonplussed by this final chapter. To this point the novel has been an utterly compelling exercise in inevitability, the chapters getting progressively shorter as Moss ratchets up the tension as she approaches the inescapable. But then it seems there is escape, what should have closed opens up again. Is this a happy ending, except that it doesn't seem all that happy; is it a vision on the point of death? I don't know, I'm not sure that it belongs, it seems to twist the whole narrative in a way that is unsettling, unexpected, and not altogether honest. And yet there is a rightness to it also, in just that way that death never seems like an entirely satisfactory closure. It turns a powerful and gripping novel into something that is interesting but perhaps not quite as good as it should be. I suppose it all depends on how you feel about the inevitable. I too was nonplussed when giant penguins showed up in the final chapter. They weren't penguins, they were walruses in disguise. Sheesh, didn't you read the book?